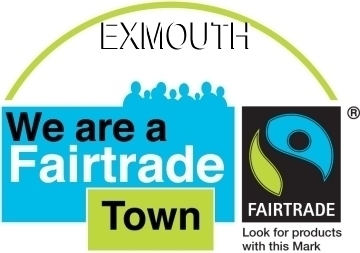 Oscar Salazar offers the certificate renewing Fairtrade Town status for Exmouth to the Mayor Councillor John Humphreys, with Hugo Swire MP, Councillor Jean Mitchell and Town Crier Roger Bourgein. 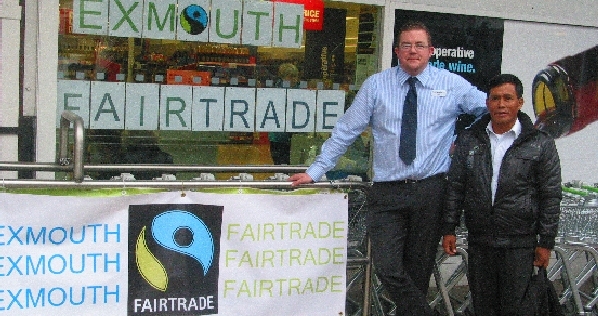 Oscar Salazar with Exmouth Co-op Manager Matt Evans during Fairtrade Fortnight 2013. 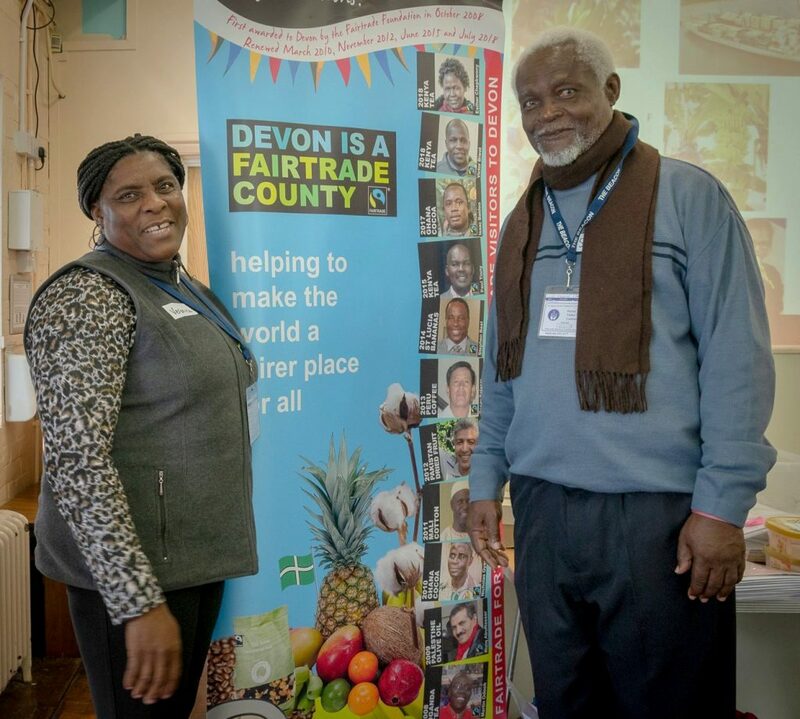 On Shrove Tuesday March 5 we had a well-attended Pancake Tea Party at All Saints church hall. 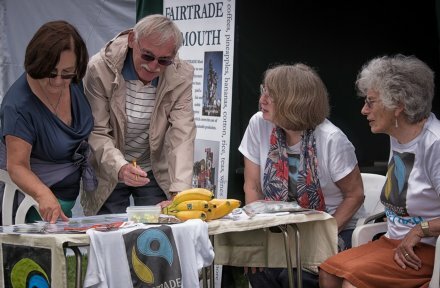 spoke effectively about their work and the benefit of selling through Fairtrade. First pictures on the new Gallery 2019 page. 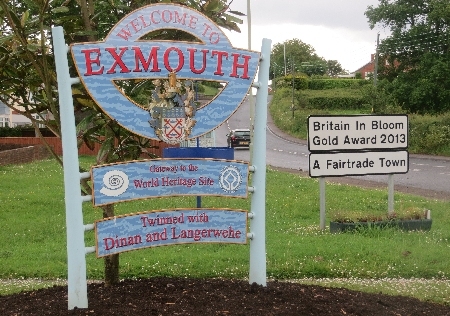 * Receive our quarterly update (not loads of messages!). * Give a little time occasionally. 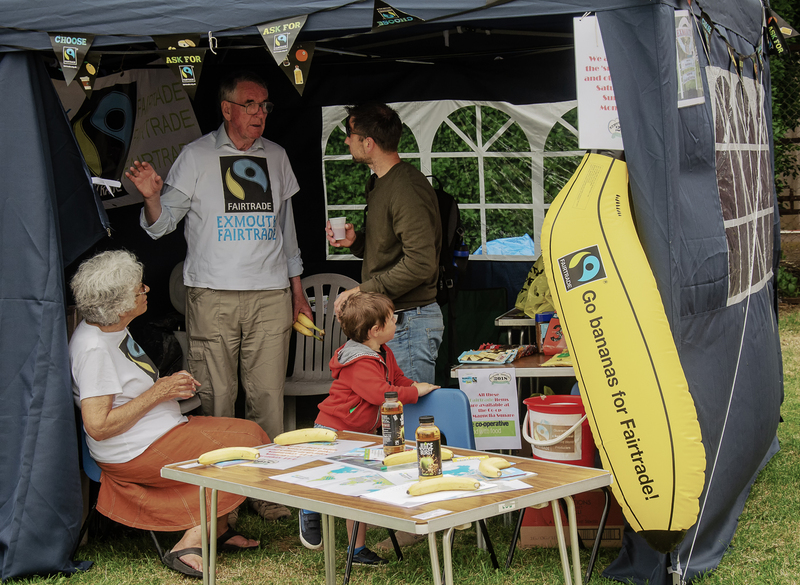 * Help promote Fairtrade locally and nationally. click here to send us an e-mail and become a signed-up supporter. 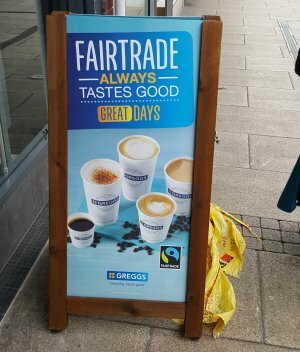 Click to visit Gallery 2019 page with pictures of Fairtrade Fortnight. For earlier pictures go to Gallery 2018 page or the Gallery 2017 page.